Mohammed Jasim Almljawi is a construction professional with over 10 years of experience in the field. Mohammed is currently the General Manager at United Arab Construction, where he has been since 2013. He is in charge of strategic planning, 20 engineers that report directly to him, and coordinating activities designated to projects. He oversees the projects from their initial stages until it is handed over to the client. Mohammed ensures that the objectives of each project are accomplished within the designated time frame and within the budget. Mohammed aims to make the company recognizable and competitive in the market by ensuring high quality and service to the client. 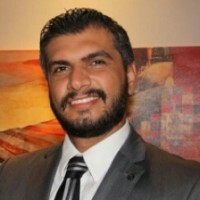 He emphasizes a partnership approach with clients and is also responsible for project coordination within government regulations and working with these government agencies to maintain compliance, financial reviews and reporting for each new project and establishing marketing strategy for new projects. He played a major role in the success of United Arab Construction and in establishing the brand identity for the company through innovative methods.